Every person in healthcare has the right to be free from abuse, neglect, and exploitation. It is important for you to promote and uphold this right. Federal, state, and local laws have put specific legislation in place to help ensure the protection of this right. One piece of legislation you should be familiar with that addresses abuse, neglect, and exploitation is the Elder Justice Act. Within the Elder Justice Act is a provision that makes certain individuals responsible for reporting any reasonable suspicion of a crime that occurs against persons residing in long-term care facilities as defined under this act and explained in the next section. 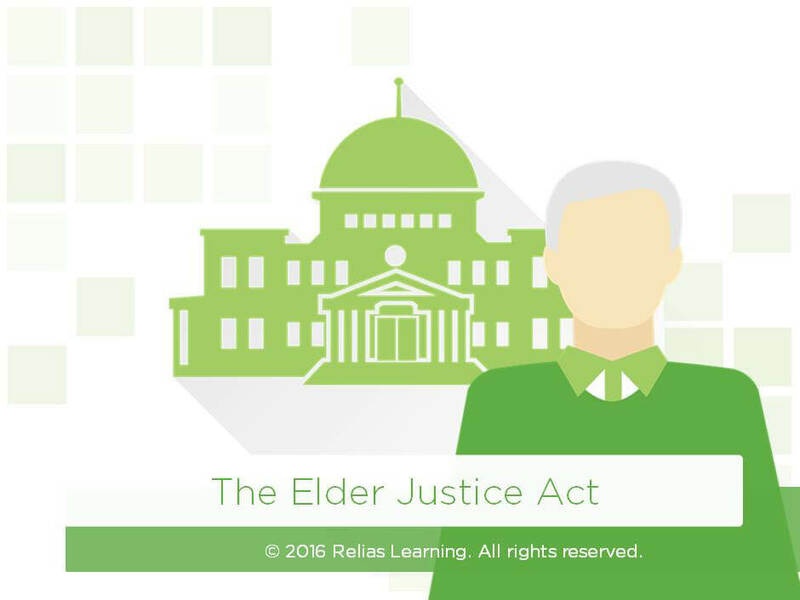 In this course, you will learn your responsibilities under the Elder Justice Act. Identify the reporting requirements for a reasonable suspicion of a crime under the Elder Justice Act. The target audience for this course is: entry level Direct Care Workers; entry level General Staff; in the following settings: Acute Care Facility, Assisted Living, Home Health, Long-term Care, Rehabilitation Settings.